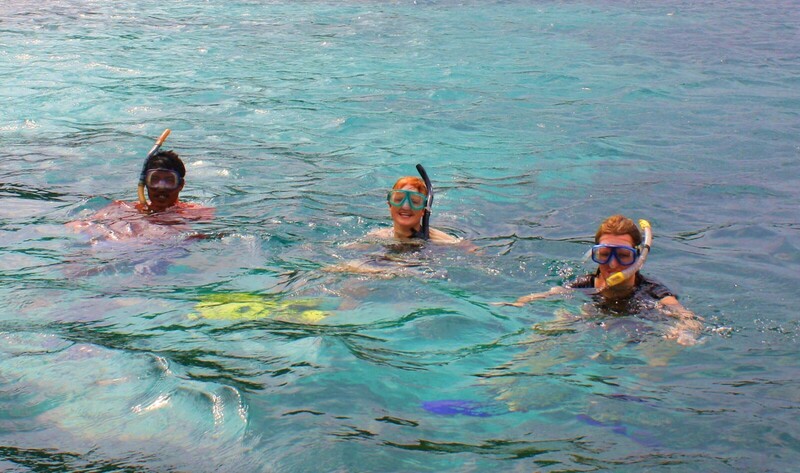 It is possible to visit the Moken village by hiring a boat from the National Park or as part of a snorkelling tour. For groups of five or more, a short visit to the Moken village can be arranged by Greenview Travel. 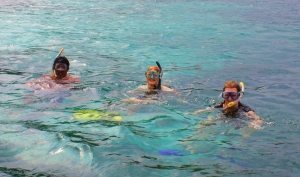 For a more in-depth experience with the Moken however, the Moken-led activities described below are available only through Andaman Discoveries. 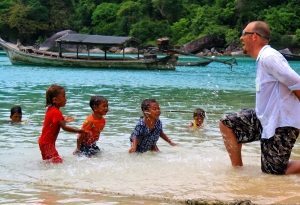 Please note that the Moken speak only their native language and Thai, and feel uncomfortable leading tours in other languages. Hopefully, as the Moken continue to acquire tourism-related skills, they will be able to offer tours in English as well. 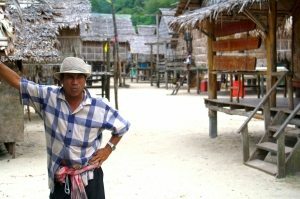 A tour around the village is an insight into the intricate relation between the Moken and their surrounding environment. 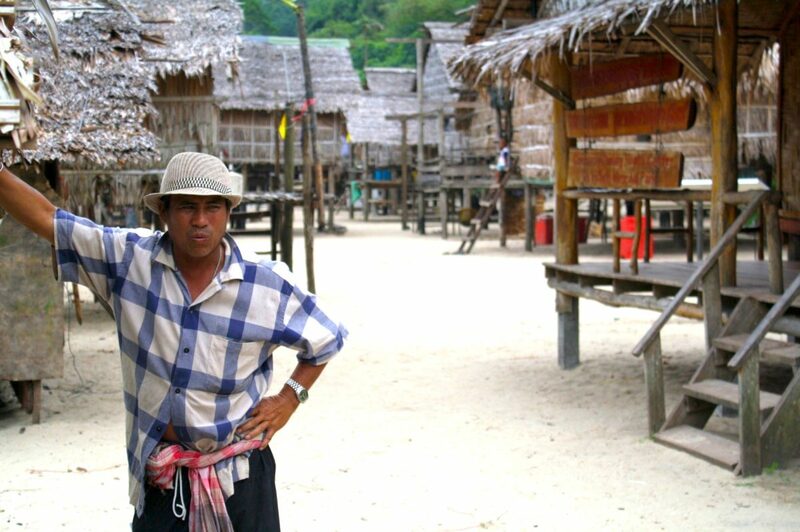 The village is made up of bamboo houses on stilts built directly onto the sand. You will see kids playing around the houses while the women weave handicrafts in the shade. 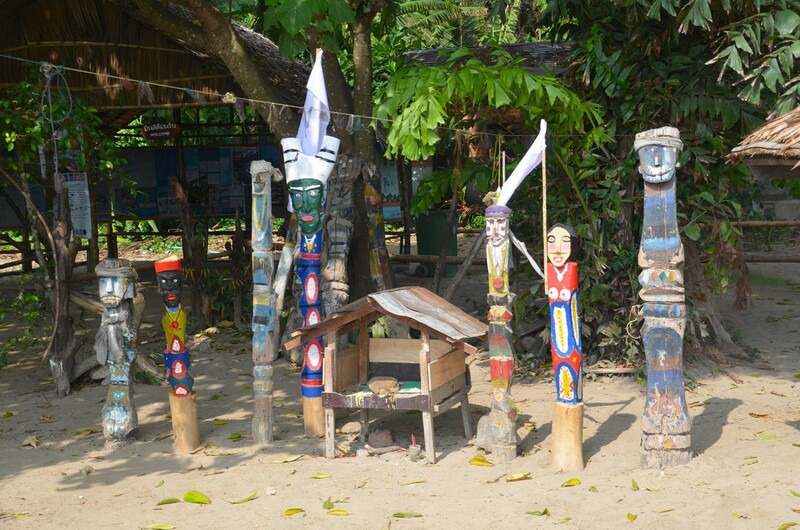 There is an informative visitor centre with displays in Thai and English to educate tourists about the Moken culture. • Handicrafts – don’t forget your wallet! In a Moken longtail boat, your boat driver and guide will show you to sites of Moken history and legend such as Stork Island. History is also underwater and your guide will take you snorkeling to a wonderland of tropical fish and numerous corals. They know where to find the different species at the respective time of the day. Additionally, you will witness the impressive swimming techniques and see how the Moken have adapted to living in the water and why they love it. 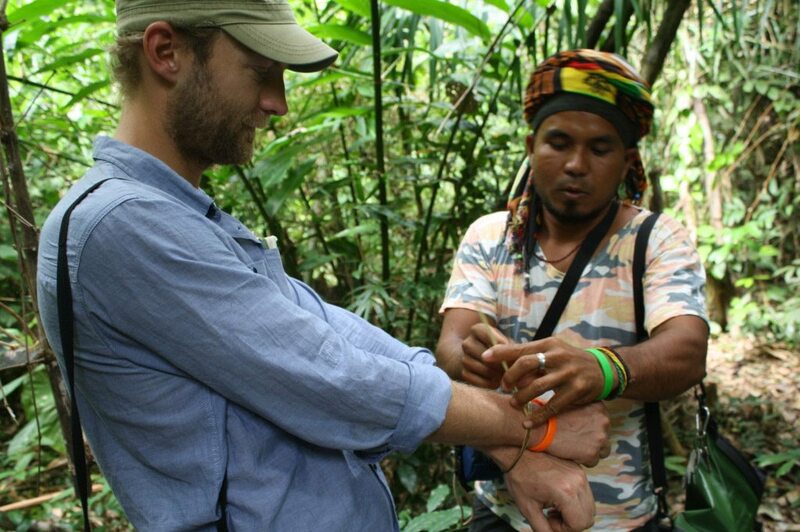 The trail behind the village gets you close up with the forest and your guide will highlight medicinal herbs, edible species and the plants that supply material for weaving, and boat and house construction. Find more information on the Nature Trail handout. Be aware that the trail is also home to a number of ants and mosquitoes. For a much more challenging hike, you can take the Chok Madah Trail leading up the mountain behind the village. Traditionally the Moken went fishing with the spear only. This type of fishing is restricted nowadays, yet for demonstrations the Moken will use a banana trunk. Your Moken guide will show you how to use the spear and you can try spear fishing from the beach at the village. In older days a man was ready for marriage when he could build and row the chaban boat. Now, the big trees that are needed to build new boats are protected by law. 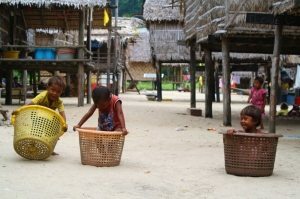 As a consequence, there are only a few chaban boats left, mainly for the children to play with. Your Moken guide will show you the techniques of rowing and you are welcome to try your skills. 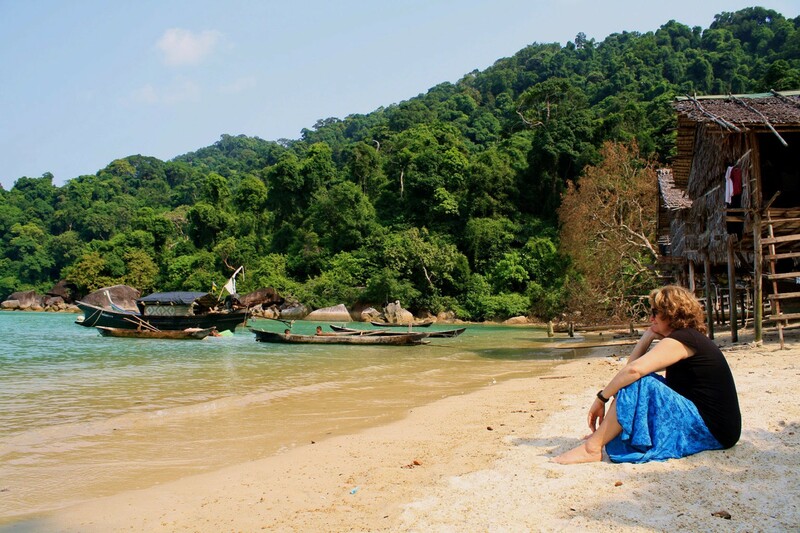 You will be welcomed by a village guide and join their different activities and tours. You can explore the village, walk the nature trail, read and hear about their history and don’t miss your chance to purchase beautiful handicrafts. 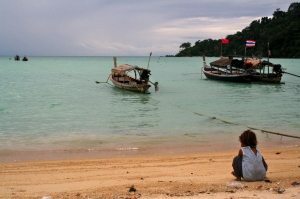 The Day Trip to the village of the Moken Sea Nomads, gives you a full insight into Moken way of life. Together with a Moken guide, you will explore the village, walk the Nature Trial behind the village and see different traditional practices. Relax at the beach and try out spear fishing, the traditional hunting method of the Moken before this practice was restricted by higher authorities. Furthermore you can practice your rowing skills on the Moken chaban boat. The 3day2nights trip introduces you to the beautiful surroundings of the Moken. Once at the Surin Islands all transportation and activities are fully Moken-led. Your Moken guide will not only introduce you to his village and surroundings but also provides a full insight into the beautiful complexity of Moken history, mythology and the challenges of their way of life. This program is especially designed for people who appreciate the openness of the Moken to share their way of life with respectful visitors.